It can be easy to take good health for granted, but a health-conscious approach today could help save you from a costly and painful situation in the future. At Houstonian Dental, we help our patients protect their dental health through smart prevention. Our dental team is always thorough and attentive, and we’re passionate about providing you with the tools and care you need to keep your smile healthy for a lifetime. Find out more about how your six-month checkup is protecting your smile! Our dental office provides preventive services to help you counter health risks and preserve your natural smile. By taking a proactive approach, we can use cleanings, exams, and other treatments to catch and treat potential health problems before they can harm your smile. How Often Should I Have Exams and Cleanings? For most patients, the recommended time between visits is six months. This allows the dentist to check your situation regularly and catch problems early, and the regular cleanings remove hardened tartar and minor stains to keep your teeth fresh, healthy, and beautiful. If you’re visiting our office for the first time, you can expect us to put a lot of care and attention toward getting to know you and your health. One of our experienced dentists will perform a thorough exam of your teeth, gums, jaw, neck, and tongue. We also take an x-ray of your dental structure to look for hidden health concerns and create a record for future comparison. An in-depth conversation is also an important part of your first visit. We want to get to know you, what your health concerns are, and what goals you have for your smile. Learning more about you and your lifestyle helps us understand how your dental health affects your life and vice versa. If you have any questions or want to explore your treatment options, we’re happy to provide you with information. Your exam covers multiple aspects of your oral health. Our dental team is committed to always being thorough regarding your health. We carefully examine every surface of your teeth, especially chewing surfaces, for signs of cavities, wear, and any other damage. We also look over all of your restorations to ensure that they are secure and functional. We look for any signs of gum disease and jaw bone loss to evaluate whether your teeth are secure or at risk of tooth loss. Common warning signs include inflammation, gums that bleed easily, pockets forming below the gum line, and gum recession. We also check the rest of your soft tissues, including your cheeks, palette, and tongue, for any sign of problems. Things like sores, discoloration, and inflammation can help identify various health problems, even problems beyond the mouth. An oral cancer exam is also an essential part of this checkup. Examining how your teeth meet, the placement of your jaw, and the movement of your muscles tells us a lot about your current health. An uneven bite can lead to various problems, including worn teeth, headaches, and temporomandibular joint disorder (TMJ). Not all of our exam is within the mouth itself. We check your jaw definition and neck area for further signs of disease. This may provide further information about your oral health or help us alert you to other potential health problems. We take a closer look at the appearance of your teeth and evaluate what enhancements might help. This includes stains and discoloration, cracks, chips, gaps, crowding, and worn or misshapen teeth. Our office embraces advances in dental technology that allow us to create a better experience for our patients. We use digital x-rays to achieve a full picture of your mouth, which is clearer and faster than traditional x-rays. Digital x-rays also use significantly less radiation than standard x-rays. We also use an intra-oral camera during your dental exam. The camera projects a clear image of your mouth onto a large screen. This not only helps the dentist see hard-to-reach areas, but also allows you to see what the dentist sees, so you have a better understanding of your health and why we recommend certain treatments. At Houstonian Dental our team is committed to providing comprehensive dental care in an environment that is both safe and comfortable for patients. To achieve this, we keep up to date with beneficial technologies, including the use of cone beam computed tomography (CBCT) scanners. This scanner is akin to traditional x-rays, though it allows for a more detailed and dynamic view of the treatment site. 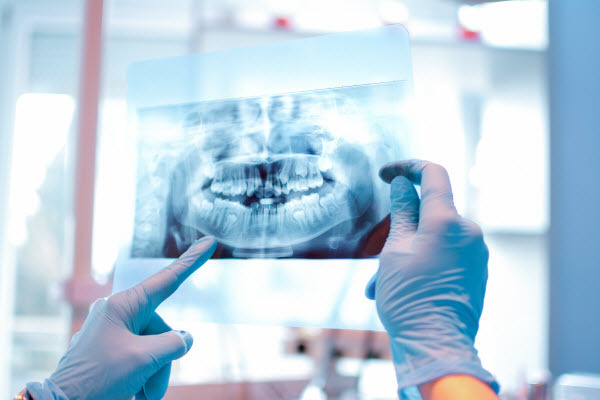 While traditional bite-wing x-rays create a single 2D image of your teeth, CBCT scanners take 200 or more images and use a program to assemble them into a three-dimensional model. These scans are commonly used to create treatment plans for patients in need of implant placement. Referred to as guided implant placement, this procedure supports predictable results and allows an oral surgeon to walk patients through the details of the procedure with an interactive model. What are the Benefits of Dental Cleanings? Even the best brushing and flossing can’t get to every area of your mouth. Plaque left behind after brushing eventually hardens into tartar, which needs special dental tools to remove. 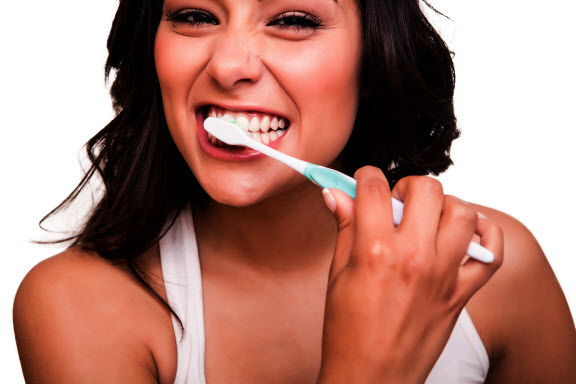 Routine cleanings help to keep your teeth clean, reducing your risk of cavities and gum disease. They can also minimize stains on your teeth and protect your smile’s aesthetic. 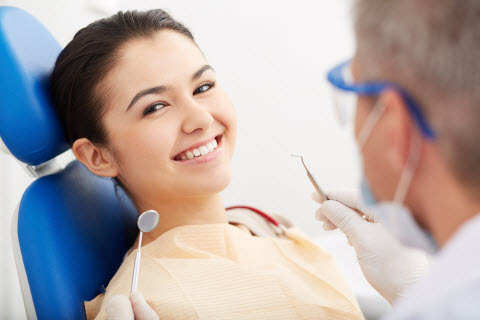 What’s Included in a Dental Cleaning? Plaque and Tartar Removal: The most important part of any cleaning, plaque and tartar removal is carried out with special tools that can eliminate this toxic substance above and below the gum line. Power Polishing: With your teeth surfaces clean, the dentist uses a special brush and polish to smooth out your tooth enamel and clean surface stains, leaving your teeth shiny and refreshed. Professional Flossing: Flossing ensures that no plaque or food debris is left behind in your smile. Fluoride Treatment: Fluoride has known benefits for your dental enamel and can even help remineralize your teeth. When bacteria and plaque irritate the gums, it begins a cycle of disease that can have serious consequences. Gum disease is the number one cause of tooth loss in adults, and yet many people dismiss or even fail to notice its early symptoms. One of the most important aspects of cleanings is to remove the plaque and bacteria responsible for gum disease. If addressed early, gum disease can be reversed, saving you from serious pain and health problems in the future. Can a Cleaning Cure Gum Disease? The early stage of gum disease is called gingivitis, which means an inflammation of the gums. This happens when plaque and tartar build up around the gum line, which irritates the gum tissue. When a dental cleaning removes the tartar, it allows the gums to heal and the inflammation to go down. If gum disease has advanced to periodontitis, a cleaning alone won’t be enough. More advanced treatments, such as a deep cleaning, antibiotic treatment, and possibly even a gum graft, may be needed to help restore your gums and protect your teeth. Faster treatment: A laser can work more quickly and efficiently than traditional dental tools. More precision: The pinpoint accuracy of a laser allows for extremely precise treatments. Greater comfort: Lasers create no vibrations and very little sound, making treatment more comfortable for our patients. Better healing: Since lasers cauterize bleeding and affect less of your gum tissue, your healing time is much shorter. While we do our best to care for your teeth during dental visits, we also want to make sure you get the care you need between visits. We take the time to help you understand how you can look after your teeth at home and how important good care is to your oral health. As your dental partners, we’re just as invested in your healthy smile as you are! Check Out These Top 10 Tips for a Healthy Smile! Every small step you take toward a healthier smile makes a huge difference in the long run. Take a closer look at our top 10 at-home hygiene tips to see just how easy caring for your teeth can be! Brush your teeth for two minutes, twice a day. Put a limit on sugary and acidic food and drinks. Never use your teeth as tools. Rinse your mouth after a meal. Change your brush every three months. Avoid burns by letting hot food and drinks cool down. Have you noticed that you grind your teeth at night? Bruxism is when you grind your teeth or strongly clench your jaw. While most of us experience bruxism at some point in our lives, unless you are told by a partner that you grind your teeth, you may never realize it until your symptoms become problematic. To prevent unnecessary wear and trauma to your teeth, we offer night guards and mouth guards. Night guards treat bruxism at night, preventing nighttime grinding and clenching. A night guard provides an upper and lower teeth protective barrier. Because night guards are made of soft acrylic, they absorb the pressure caused by clenching and biting and provide a cushion. They stay in place and are less bulky, so custom night-guards are more comfortable and effective than the pre-boxed variety. Your custom night-guard can help reduce your symptoms and encourage a better night's sleep. Whether you need a night guard to protect your teeth while sleeping or you need a mouth guard to protect your teeth while playing sports, we can create a custom preventive appliance to help keep your teeth healthy and safe. Houstonian Dental provides emergency dental care when you need it. We prioritize relieving dental pain and making sure patients recover fully from dental accidents or serious decay. Individuals of all ages experience dental accidents, whether your child is in sports, or you chip a tooth while eating. In these cases, you can damage teeth in a range of ways and knock out restorations. To improve the chances of restoring your smile fully, be sure to recover any tooth or restoration fragments, for even whole teeth can be placed back into the smile. Accidents can cause significant discomfort, and to alleviate this pain take medication or ice the affected area. To cover sensitive areas, purchase dental cement from a local drug store, and apply for a temporary seal. Our full-service dental practice offers a wide range of treatment options so if you are experiencing a dental emergency, please call immediately. We’re Here for Your Smile! Your dental health is important to you, and caring for it is something we take very seriously. Our dental team is committed to providing gentle, efficient, and personalized care in every service. Ready to keep your smile healthy? Contact our office and schedule your visit today.